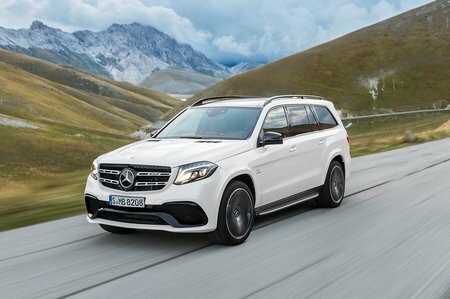 Mercedes-Benz GLS Boot Space, Size, Seats | What Car? 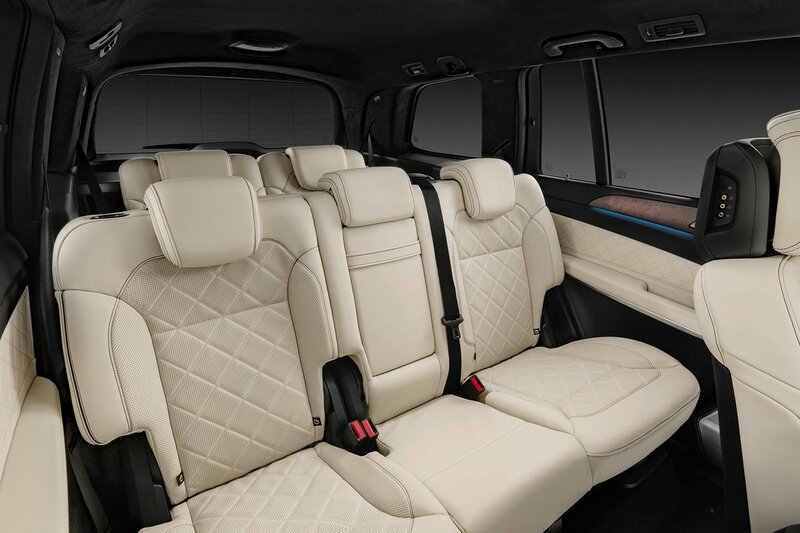 There’s masses of space for the front two occupants, while the second row is split 60/40, but has enough room for three adults to sit side-by-side. 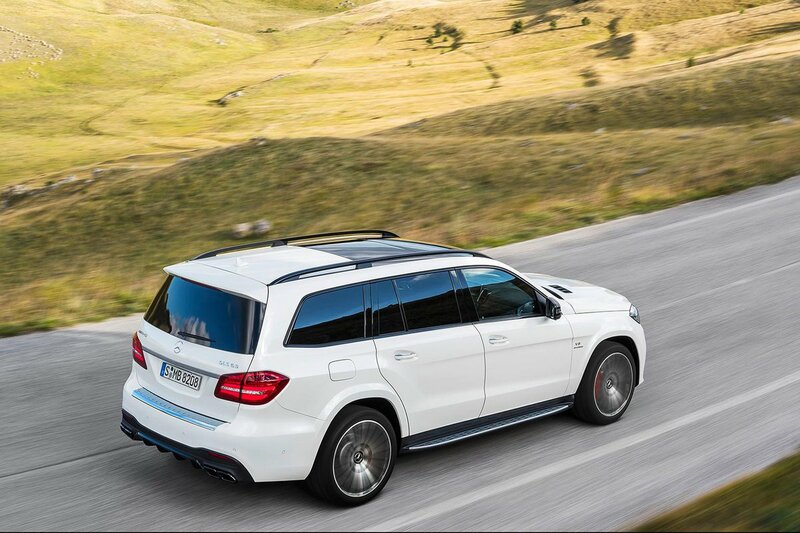 The two outer seats offer enough leg room for adults to sit behind another two without their knees brushing the front setbacks, and head room is superb even with the GLS's standard panoramic roof. Although the middle row seats can’t be slid back and forth, their seat backs can be manually tilted, while another button folds the back down and then tumbles the whole seat forward. That leaves very good access to the third row, which has enough head and leg room for another two adults. With all seven seats in place, there’s space for a couple of small suitcases, but with the sixth and seventh seats electronically folded flat into the boot floor (again standard) there’s 680 litres to play with. That’s easily enough for two large pushchairs or three large suitcases and more, although the rearmost armrests intrude on the space a little.